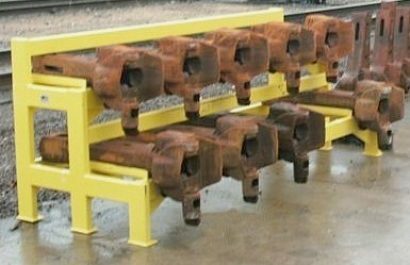 Designed for use with any existing Air Brake Valve Table. 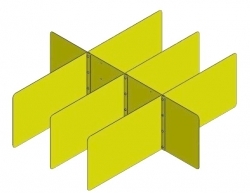 They may also be ordered as an option when purchasing new storage tables. The bolt-together design allows simple assembly in the field, and quick-change capabilities to any compartment configuration. Store up to twenty-four standard brake beams. 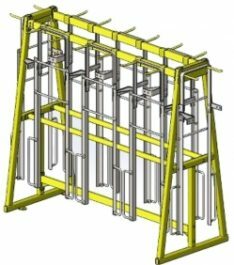 Specifically designed to store freight car ladder Assemblies. The adjustable storage pegs allow multiple configurations of ladders to be stored. 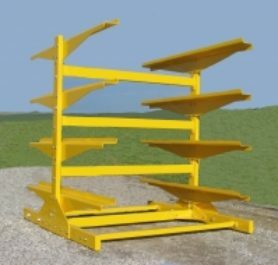 The rack has a rated capacity of 1,000 pounds, and is 44’ wide, 98” Long, and 90” tall. Includes mounting pads to secure the rack to the ground or pavement if required.